A combination of gravitational and electromagnetic forces sprays hot gas away from the giant black hole. This system has similarities to how a water fountain powered by gravity works. 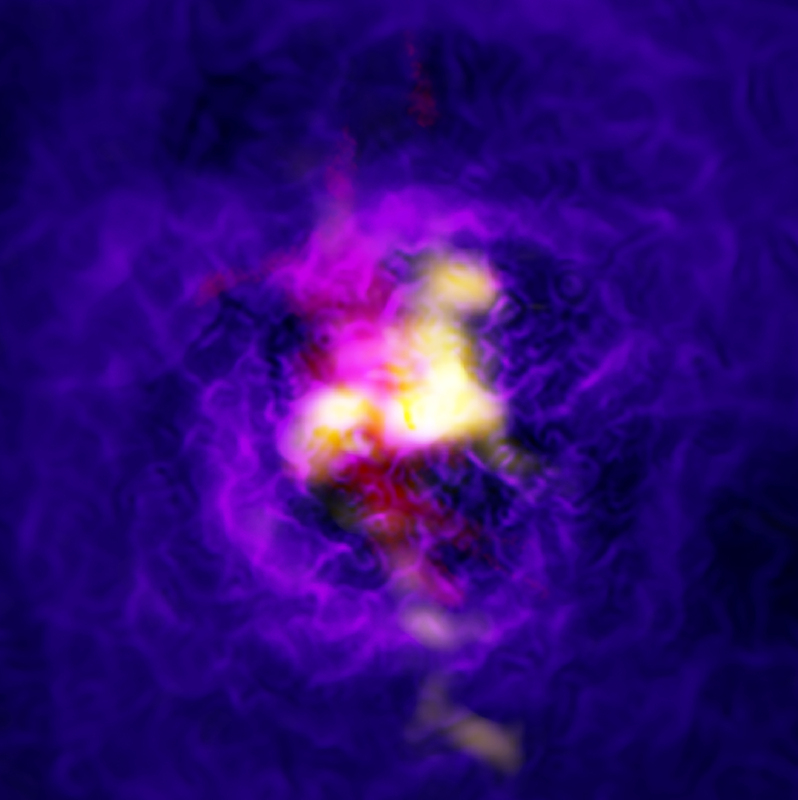 The new result is based on combined data from Chandra, ALMA, and the Very Large Telescope. A substantial fraction of the three billion solar masses of gas are pumped out by this fountain and form a filamentary nebula — or cosmic "spray" — that spans the innermost 100,000 light years of the galaxy. Scale Image is about 15 arcmin (about 75,000 light years) across. The simultaneous inward and outward flow of gas being driven by a supermassive black hole. About 1.1 billion light years away. X-rays from the Chandra X-ray Observatory and optical & radio light from other telescopes. The image is about 75,000 light years across. X-rays are purple, radio is yellow, optical is red.